Every summer Arizona White Mountain communities play host to thousands of retirees who come to beat the heat experienced in the desert areas of the Southwest. Because of this influx of people, resorts have sprung up throughout the White Mountains area creating an opportunity for a different type of ministry. 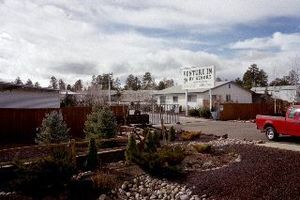 Desert Pines Baptist Association began the first "Resort Ministry" in 1986 at Venture In in Show Low. We have expanded our resort ministry across the White Mountains. 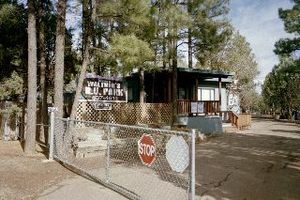 We now offer Resort Ministries in Greer, Juniper Ridge (White Mountain Lakes), K-Bar, Venture In and Waltners in Show Low for a total representation in 5 different RV parks. We have volunteers that arrive the first Sunday in June and stay to the end of September each year. These volunteers live on the premises and conduct worship services, Bible studies, offer counseling, and a multitude of other services for guests in their parks. We are delighted to have 5 couples that help with this great Ministry. Eleanor Ferry serves as our Resort Ministry Director and is very much interested in visiting with anyone who would like to visit with them about this special ministry. For the volunteers in these resorts Eleanor Ferry Resort Ministry pays the lot fees and utilities. Donations are accepted and monies received from this ministry allow us to open other resorts as well as staff them. It is our prayer that we can continue to open new areas for service. If you have a desire to be a part of this ministry you can contact our office at (928) 536-7200.